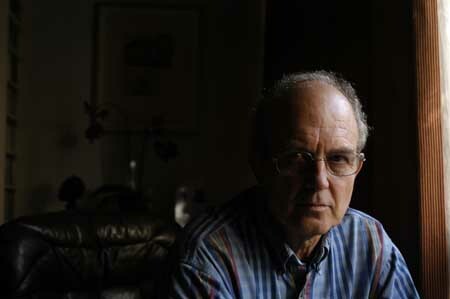 John Fuller is a poet, novelist and critic (‘A significant presence in British letters’: The Times). He is an Emeritus Fellow of Magdalen College, Oxford, where for many years he was Tutor in English. His Collected Poems were published in 1996 by Chatto and Windus (‘No other living British poet has produced a body of work so entertaining and beautiful’: Alan Hollinghurst in the TLS) and his Stones and Fires of the same year won the Forward Prize for poetry. He has published 23 collections of poetry, the latest two of which are Double-Dactyls (Shoestring Press} and The Bone Flowers (Chatto and Windus). Chatto also published his critical book Who is Ozymandias? and other puzzles in poetry in 2011, and a New Selected Poems 1983-2008 in 2012. The first of his eight novels, Flying to Nowhere (1983), won a Whitbread Prize and was shortlisted for the Booker Prize. He is the editor of the plays of John Gay (Clarendon Press, Oxford, 1983) and the author of W. H. Auden: A Commentary (Faber, 1998). He wrote the love lyrics for Nicola LeFanu’s The Tongue and the Heart (for soprano and cello), published by Edition Peters in 2008, and the libretto for her opera Dream Hunter, published by Edition Peters in 2010 and premiered after a short Welsh tour at Wilton’s Music Hall in 2012. He has written for other composers, including Bryan Kelly, Gabriel Jackson and Robin Holloway, and has published several collections of short stories, anthologies, edited texts, and books for children. For many years he ran a private press: John Fuller and the Sycamore Press: A Bibliographic History by Ryan Roberts was published by the Bodleian Library in 2010.